Ahead of the summit, Tusk said some parts of May’s plan were a step in the right direction, even though the Irish border and the economic cooperation proposals need to be reworked. British Prime Minister Theresa May’s parliamentary allies welcomed her assurances that Northern Ireland would avoid a hard border — even as they urged her to stand up for the interests of the entire country in talks on leaving the European Union. The pound has fallen further after British Prime Minister Theresa May took a tougher line in the Brexit talks. The currency was down a sharp 1.5 percent at $1.3066 after May said Brexit negotiations are “at an impasse” after the European Union rejected her proposals for leaving the bloc. The proposal was to keep the U.K. in the EU single market for goods, but not services, to ensure free trade with the bloc and an open border between the U.K.’s Northern Ireland and EU member Ireland. EU officials dismissed the plan, saying Britain can’t “cherry-pick” elements of membership in the bloc. The disagreement raises the risk of Britain leaving the EU without any deal on future trade relations after Brexit day on March 29, which would mean tariffs on exports and disruptions to commerce, travel and other activities. 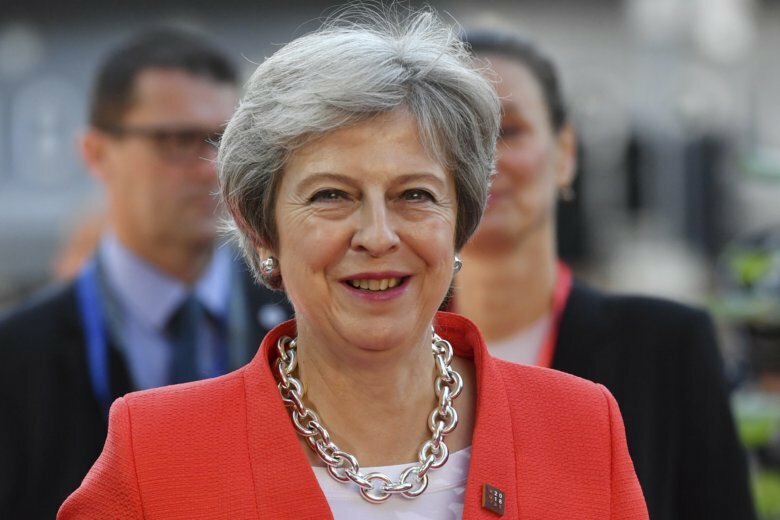 British Prime Minister Theresa May has sought to reassure European Union citizens living in the U.K., saying they will retain their rights in case the country leaves the European Union without a deal. May issued an update Friday on the ongoing Brexit negotiations in the wake of the rejection of her plans by EU leaders in Salzburg — a situation she says might cause concern among the 3 million EU citizens who live in Britain. British Prime Minister Theresa May says Brexit negotiations are “at an impasse” after the European Union rejected her proposals for leaving the bloc. Speaking at 10 Downing St. in London, May said it was “not acceptable” that the EU had rejected her plan without offering alternatives. EU chief Donald Tusk said at a summit in Salzburg that May’s plan would not work. May says both sides want a deal, but remain far apart on key issues of future trade relations and the Irish border. She called for “serious engagement” to solve the problems. The pound fell on May’s comments, trading down a sharp 1.2 percent on the day to $1.3104. The British government on Friday accused the European Union of slamming the handbrake on Brexit negotiations, after the bloc said Prime Minister Theresa May’s blueprint was unworkable. A rattled May insisted that her plan was the only one on the table — and that Britain was prepared to walk away from the EU without a deal if it was rejected.